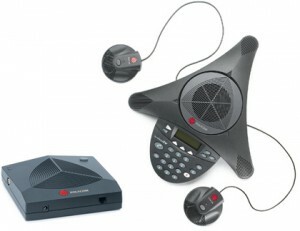 Pinnacle Phone and Data can supply and install corded and cordless Conference Phones. Why do I need a Conference Phone, when my phone is Handsfree? Handsfree phones are designed for personal handsfree use, in a regular sized room, with low ambient (background) noise. Most handsfree phones only provide “one-way” talking, in other words, you talk, then you listen. If you talk while the other party is talking, your voice will over-ride their voice. This is called half-duplex handsfree. The same method was used in the days of CB radio. More recent (and usually, more expensive) handsfree phones use full-duplex handsfree, which enables continuous two-way conversation. 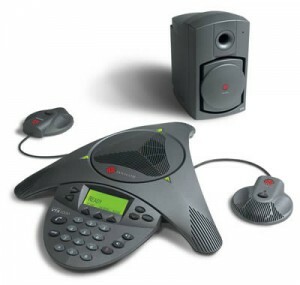 Conference Phones are designed for use in larger rooms (such as Board Rooms) with multiple participants, and also provide continuous two-way conversation. There are a variety of types available from different manufacturers. 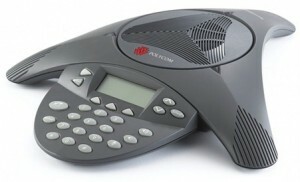 Polycom has many models for different needs, with both corded and cordless models.